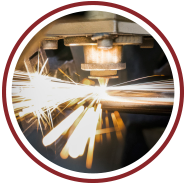 Fraser Steel streamlines the production process by offering on-site, state-of-the-art robotic welding. It’s part of our company’s commitment to saving customers time, hassle, and cost. 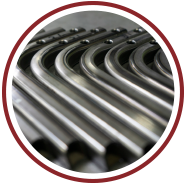 It reflects our role as a one-stop shop for precision tubular components and assemblies. 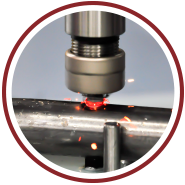 Another advantage of the one-stop shop approach to production comes with the combination of our welding and laser tube cutting departments. These two departments work in concert so that a proper cope or miter fit is ensured. 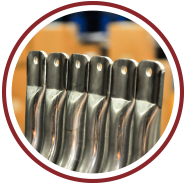 This adds value to the finished assemblies in greater precision and lowers costs by reducing production time. Our highly automated welding capabilities include an extra-large work envelope and CNC positioners for the ultimate in coordinated movement. Each welding robot is outfitted with a double-sided work bench which allows welding, loading, and unloading to happen simultaneously. We have invested heavily in making sure that our air filtration systems exceed the industry required standard. This makes our shop a safe place to work, and it reduces our impact on the environment.